One of my fondest memories from my UK road trip last year was enjoying tea time. I fell in love with the whole essence of it—from the table clothes, delicate teacups to the delightfully tiny finger foods. It was a ritual I fantasized about adopting. It made me understand why the Brits take their tea so seriously, and rightfully so. 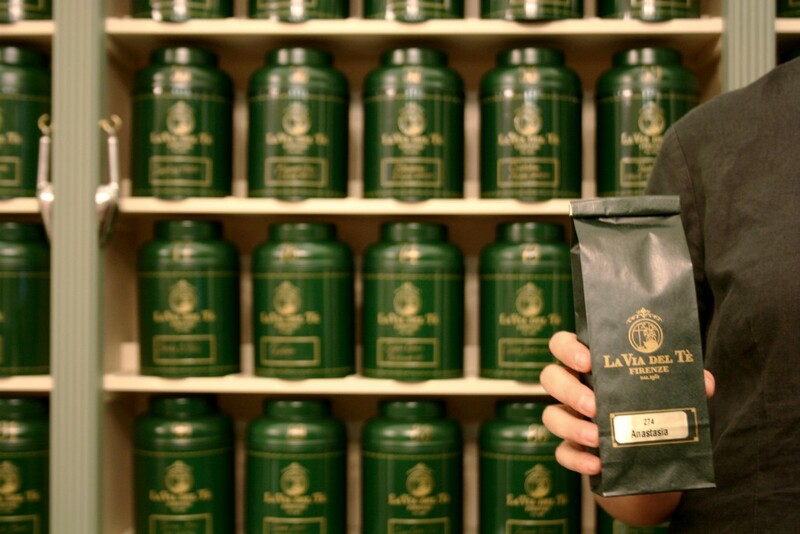 In this cobblestoned world of coffee, tea in Florence is making its mark in the world thanks to an elite tea company called La Via Del Tè (The Tea Street). Since 1961, it has been the most famous and largest in town, or Italy for that matter. 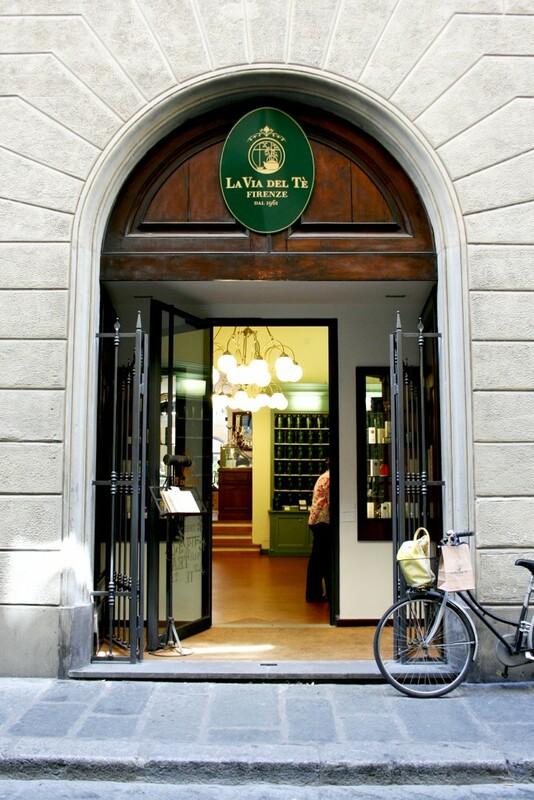 La Via Del Tè has been poured in my cup a few times, but I’ve never stepped inside one of their stores or tea rooms until today. As I was on my way home from a meeting I noticed this beautiful entrance on Via di Santo Spirito. Light bouncing off the high ceilings and rows of green tea cylinders caught me eye. Screeeeech went my bike brakes and in I went. I’m actually writing this now while I slowly sip on Fior di Zagara and take bird-like bites of my three tiny sandwiches. Ah, if I close my eyes I’m back in York enjoying teatime with my mum at Bettys. I’m teleported back when I hear Italian being spoken in the background as the friendly employees are serving other guests with the infinite tea selections—260 in total!—plus a few people at the bar hovering over the sweets. This new location is one of three in Florence, which just opened this Summer. Tea time has been an incredible break in my day. Relaxing, peaceful and oh so elegant. If I didn’t look down I would think I was in a gorgeous Prada dress, but my worn-out jeans snap me back to reality. Soft and beautiful classical music is playing at the perfect volume. I can vaguely hear a vespa pass by on the street and the light chatter by the register. Bye for now, me thinks I shall finish up my Fior di Zagara and slip out with a Zen smile and my purchase of Anastasia and Sakura teas! 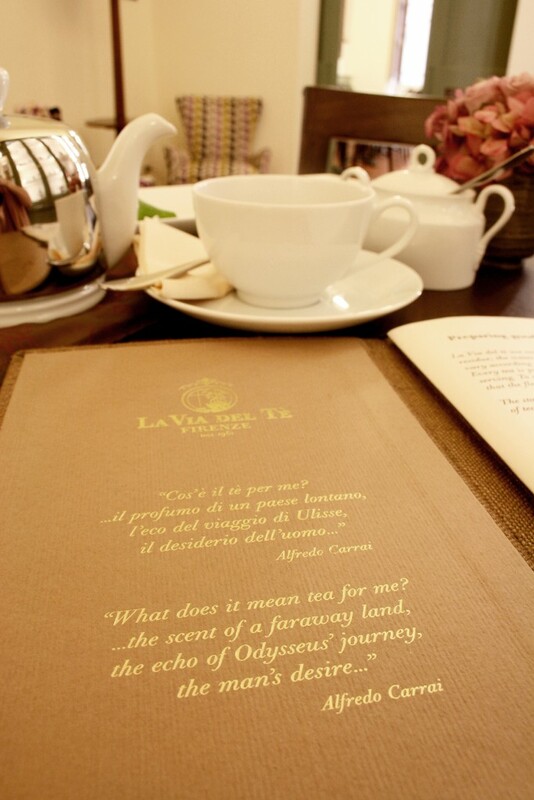 La Via Del Tè‘s warehouse is nearby in Impruneta where they mix all the fabulous teas, rooibos and herbal infusions. 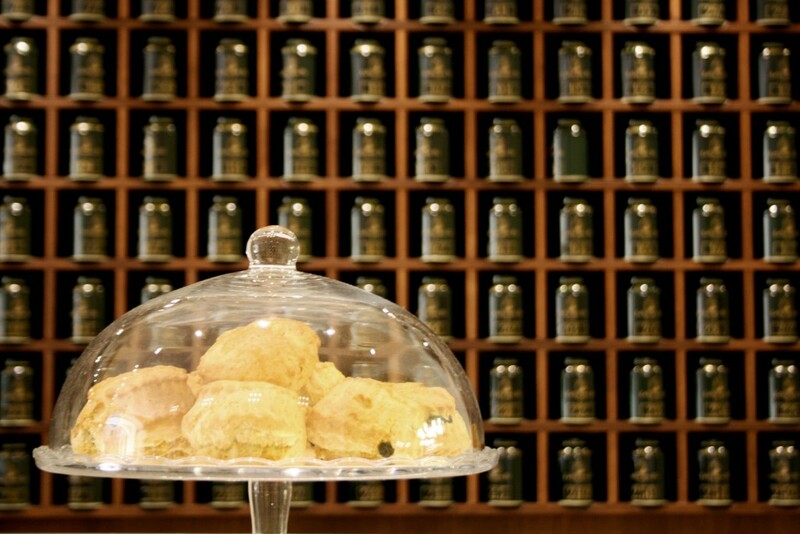 Their stores sell all types of tea paraphernalia from luxury sugar to containers and mugs. If you’re in town and need a lovely retreat from all the Trattorias then hide out in the back room and sip on dozens of teas. They even have a delicious looking brunch option. You’ll thank me, especially if you’re from the UK! 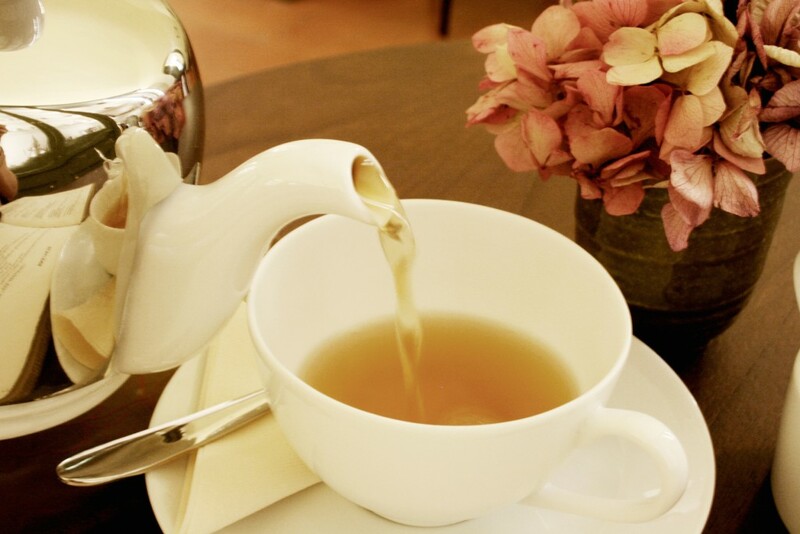 Are you a tea drinker or coffee lover? I find myself trying to explore teas more and more, so I’m happy I found this place. Ya, I loved this place. It’s such a lovely experience and perfect haven in the center of all the noise and movement. 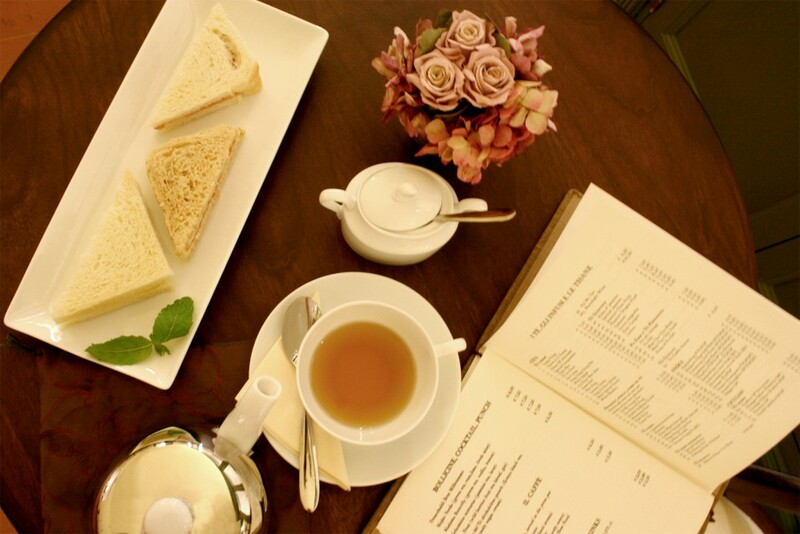 I loved my UK teatime. It’s such a great moment to really take a break in the day, which we don’t do back in the States. I liked Tealicious a lot and have recommended them to a few people, but don’t mess with teatime!